On today’s episode of Ask A Lender, I’ll be sitting down with Shelbie White from Fairway Mortgage and we’ll be discussing Private Mortgage Insurance, better known as PMI. She’ll be answering all your burning questions like is it required, when PMI is a good thing and how to get rid of it now. Hey y’all. Abby Husbands here.  I’m a realtor in Austin, Texas. And if this is your first time stopping by, you might want to consider subscribing to my channel where I talk about all things real estate related and I pepper in a few videos about Austin, Texas and my favorite things to do in the city. So today is our series called ask a lender where I sit down with my friend and the lender Shelbie White with Fairway Mortgage. And today we’re going to be discussing private mortgage insurance, which is better known as PMI. 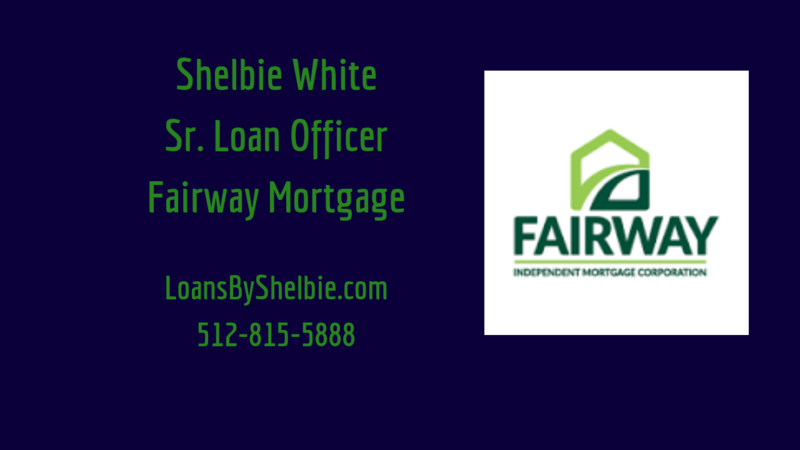 Okay, so today I’m talking with Shelby White with Fairway Mortgage. Hi Shelby. And we’re going to be talking about PMI, which is private mortgage insurance. So explain to everybody exactly what is private mortgage insurance and when do you need it. So private mortgage insurance is insurance for the lender in case of default. Uh, what that means is that a portion of your loan is insured in case of default. If you were to stop making your payments, the lender would get reimbursed for a percentage of that loan depending on varying circumstances, how much. But uh, so it’s basically protection for them and it’s what makes them willing to loan with less than 20 percent down. Okay, perfect. So the PMI is based on like say someone who’s going to put down 10 percent, what is the PMI based on? It’s based on the initial loan balance. So if you have $100,000 sales price and you’re putting 10 percent down and you’re borrowing $90,000, so you’re putting $10,000 down and that’s your 10 percent and then the remaining balances. So the PMI is based on that loan balance and that initial, what lenders called loan to value. Is this like a third party insurance, like Saint Homeowner’s insurance where you pay it separately or is it rolled into your mortgage? So it’s included in your monthly mortgage payment, just like your taxes and insurance will be [inaudible] you will be escrowing with less than 20 percent down, so every month when you make your mortgage payment you will be paying your pmi and, and when you get your original loan estimate and all part of the application process, you’ll, you’ll know what that amount is, um, because it will be included in any provided it to you. Okay, perfect. So, VA is the only one that doesn’t have a monthly pmi. Okay, good to know. Yes. That’s great. And then what about like a USDA loan? USDA loan also has a monthly mortgage insurance. They call it different things, but it’s what it is, what it is. They call it a guaranteed fee. So like any loan product out there, that’s not a va loan for the most part. If you don’t put 20 percent down, you will have to pay pmi based on the loan amount. That’s correct. Oh, I’m so smart. So smart. I know that like in the past with some of our clients say they did have enough cash to put down for 20 percent, but they ended up putting down 19 percent because if you put down a little less, um, interest rate is lower, so explained, so yeah, exactly. So basically pmi adds a layer of security for the lender or lenders love security and anytime there’s less risk, you are going to be rewarded in your interest rate. So sometimes it’s shocking to see that your rate is better if you put less down because you have pmi versus if you did put 20 percent down because there’s no protection in there for the lender. And it seems grossly unfair to be penalized for putting more money down. But that’s kind of just the way it goes. It’s, it’s, uh, it’s, everything’s about layering the brisk. And so when you have something like Pmi that reduces risk for the lender, that usually benefits you in your interest rate. Okay, awesome. Go ahead. Well, so I was gonna say so like if you have 20 percent to put down but you can get a better interest rate, they’ll put 19 percent down and then they just carried pmi for two years. Don’t work in some, in some situations like you and I’ve done it, you know, it depends on the credit score. There’s a lot of factors. It depends on what that loan amount is, what the, that monthly cost going to be for the two years or so that you carried the PMI. That’s part of what we’ll do as a cost benefit to. Is it worth, is it worth it for you to have that PMI? If you get on a lower interest rate and it depends on what market conditions are. Sometimes it doesn’t make a difference in pricing and in that case, you know, it might not be worth it. Okay. And is there like a minimum number of years that you have to carry it in order to get rid of it or what’s the rule in like getting rid of your pmi because you don’t have to carry it for the entire, like 15 or 30 years of your loan? That’s correct. So let’s say you’re, you, you’re putting 15 percent down and it doesn’t take you, but two years to get to a 20 percent equity position is actually 22 percent, but we’ll say 20 percent you have to have pmi. I depending on who is who is ultimately servicing the loan for two to three years, we’ll season it. So let’s say the market explodes six months after you buy your house and now your property is worth enough, not that you are at an 80 percent equity position or you have, you have 24, I’m sorry, 20 percent equity in your property. Now to do it quickly, you would want to reach out to your servicer, get rid of your pmi, but she only had one loan for a year. They’re not going to let you drop it. So there is a seasoning requirement, you can’t do it like right away and every investor’s different. So we’ve gone fannie or Freddie or we ended up selling it to wealth. Um, but usually the seasoning requirement is two to three years and you have to have a perfect payment record if you have one late payment. And by late, I mean over 30 days, um, they won’t let you drop it. Oh Wow. So then you’d have to keep it forever until you know, so it automatically goes away once you’ve paid your original loan balance down to 78 percent of the original purchase price. So for example, if you, if you buy 100,000 dollar house and you put $10,000 down and so now you are borrowing 90,000. Once you’ve paid that $90,000 loan down to 78,000 because that 78 percent of which was your purchase price, then it will automatically go away. You don’t have to do anything, but the time that it takes you to get from 90 to 78 is often longer than it takes for your house to actually appreciate. 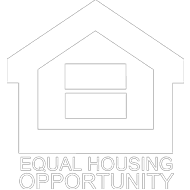 To give you the equity position, so a lot of times it’s quicker to have a praise dequity versus having a wig freeing you to pay down your original loan balance to 78 percent of the purchase price. So say you’ve had your house for two to three years, whatever the seasoning is, you have to get it appraised. Yes. So, and you don’t come out and get an appraisal on your own. So what you would do is reach out to the servicer who chats to every month and say, Hey, I believe my house is now worth x amount of dollars, which means based on my loan balance, I have a 20 percent or more equity position and I would like to have my pmi dropped. Um, so then what they’ll do is they will order an independent appraisal. And if the value’s there they’ll, they’ll just drop it. You don’t have to refinance. I think there’s a really nominal fee, maybe 100 bucks or less. And Boom, just that portion of your payment just disappeared. So you have to pay for the appraisal to. You will have to pay for the appraisal. And how much is an appraisal appraisal thrown about four to $500. Okay. So you’re about 600, $700. But it’s worth it. You know, you’ve got another six or seven years to pay on your PMI. Vertigo when automatically, you know, it’s worth the money to get rid of depending on a $400,000 loan. If that’s it can be 300 bucks a month depending on your credit score. So it can be really expensive. Pmi, impure, if you’re not putting in your credit score is below 700. Pmi can be very costly. Okay. So in other words, like put the money away in preparation for buying your appraisal and pain that theme. Exactly. People have a negative connotation about pmi. They think it’s a bad thing because it doesn’t benefit them, it benefits the lender. But indirectly it does benefit the borrower because it makes programs available for less than 20 percent down. Pmi, the majority of these programs would not be available to the average consumer and most people don’t have 20 percent down laying around in their bag. And so, you know, it feels like something like, well, I don’t want to pay that, it just goes to the lender. Well, I mean it really goes to youtube because you wouldn’t mind not be able to get that house otherwise, um, you know, the, depending on what your income is. And you know, I’m not a CPA so I can’t give tax advice, but I’m at least as recently as last year, 2017, you were able to duct your private mortgage insurance if you are making less than $100,000 a year. So that was a tax deductible expense. Um, so, you know, all the tax laws are changing in 2018. So we’ll be curious to see where pmi falls into that, you know, if we’ll still be able to deduct it out. I’m not 100 percent sure. That’s a good question for your accounting. Awesome. So, and then like PMI is only for your homestead, right? So that’s why if you’re buying, you’ll have BMI on a, on a second home to if you’re putting less than 20 percent down. Oh really? I thought that it’s like if you were buying an investment property, you are required to put 20 to 25 percent down because there wasn’t pmi for it. So on an investment property, yes, but a second home you don’t have to have to put 20 percent down. Okay, perfect. So second home, if you were putting 10 percent down or on a 15 percent down on a second home, you would still have pmi. So a second home is just like say I live in Austin, but I have a second home in Dallas and I have to prove that that’s my homestead that I have to write. Well, yeah, have. Yeah, you would have to be purchasing it as a second home. Not In investment property. Okay. Because then the down payment requirements change. Okay. And if you lie, that’s fraud. Yeah, don’t do that. We can find out. Good luck. No. Anything else you want to add that you think would be beneficial? Well, there are a lot of people who don’t have 20 percent to put down. They look at a, an additional product called the in the 80 10:10, and that’s where they get a first lien at 80 percent, a second lien at 10 percent, and then they still put 10 percent down. And a lot of people do that to avoid pmi. Um, that is not always the wisest course to go. Again, it’s a, it’s a mental hangup on you. People are predisposed to look at Pmi negatively, but, uh, when you do an 80 10, 10 versus having assembling with Pmi, uh, you’re going to have a higher interest rate on your first lien. Andrew, secondly, and often is going to take you longer to be off the second lane. Then it would for you to drop your pmi because you ever prayed step into. So it’s Gino. Just make sure that you get a comparison for both options so you can truly see his bmi a bad thing because chuck, typically it’s not. And that’s the kind of the battle we face from the lender side is that you know, people’s, I don’t want to die at 1:00 PM, 1:00 PM, I, even if it benefits you. So in other words, work with a great lender who knows what they’re doing, everything to yes, you can show you the cost benefit for each option so that you can make the best choice for you and your family. Awesome. Well thanks so much shelby. So we’re going to be doing a series together of ask a lender. So if you have any questions, just leave them in the comments below. I’m also going to leave. I’m shelby’s information because she is an amazing lender in Austin Jr. Like the fourth largest. Yeah. NationaLly. We’re one of the top five largest lenders in the country. Awesome. And she can close a loan, so if you need to put that in the comment section below too. So thanks so much shelby. I’ll see ya. thank you. So thanks so much for watching. I hope you found this informative. If you did, please give me a big thumbs up, subscribe to my channel or share this video with your family and friends. If you have any questions, you can leave them in the comments section below or you can contact me directly through my website.